* One sheet of thick paper, to print the pattern. 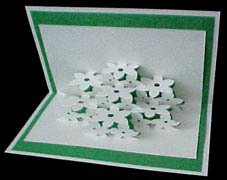 * One sheet of sturdy card (cardboard) for the backing sheet. 5.- Glue the card symmetrically to the backing sheet. * See the card I made.